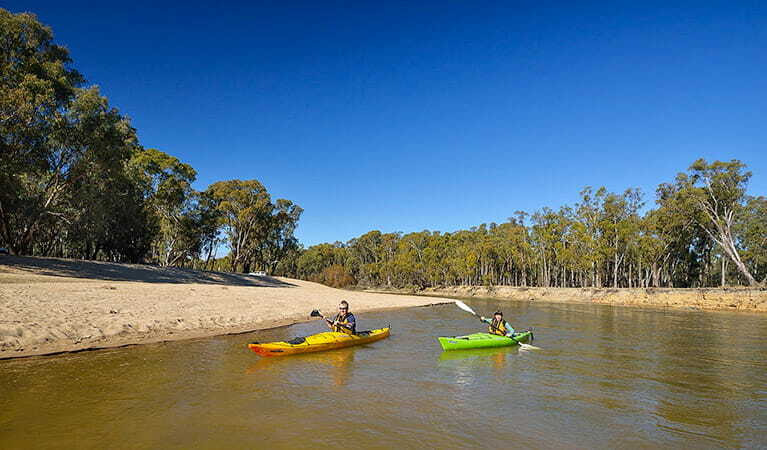 This sandy Murrumbidgee River haven, Middle Beach, is an ideal place to go canoeing, kayaking, fishing, swimming or picnicking. Secluded camping spots can be found nearby. 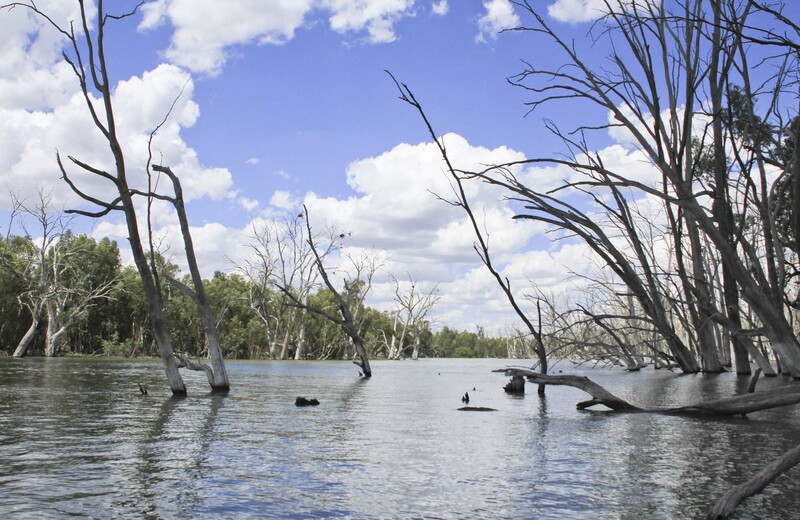 Although the majestic river red gums that line the Murrumbidgee River create shady picnic spots, try to avoid sitting directly underneath as they are notorious for dropping large branches without warning. Middle Beach is a sandy Murrumbidgee River beach. 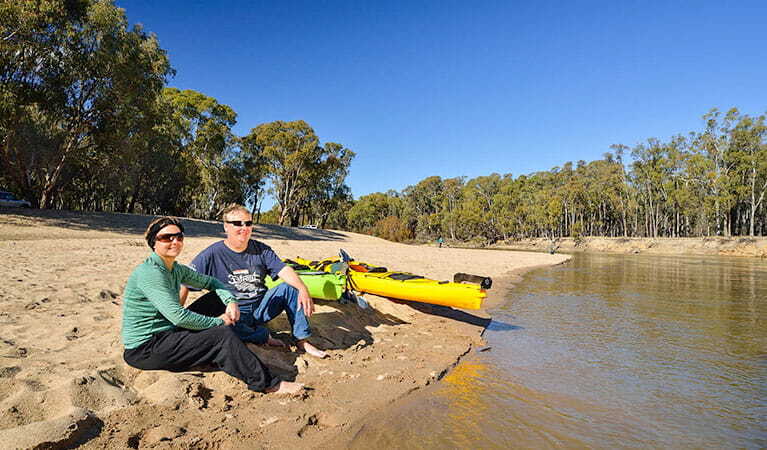 It’s an easy place to spend a few hours and a wonderful spot to return to each day from your nearby bush campsite in the surrounding river red gum forest. Launch a kayak or canoe from the beach and explore this iconic Australian waterway. Laze on the beach in the sun or shade and have a swim between chapters of that book you’ve been meaning to read for so long. Keen birdwatchers should keep binoculars handy to get a closer look at olive-backed oriole, corellas and yellow rosellas. Spend the day fishing and you may catch trout or yellowbelly. If you happen to catch a Murray cod on the end of your line, be sure to release it – populations of this iconic fish are in decline. A forest trail also leads to the waterfront further downstream to more secluded fishing and camping spots. Or, if you want to launch a boat, there’s a ramp upstream at Euroley Bridge. Murrumbidgee Valley National Park is always open but may have to close at times due to poor weather or fire danger.